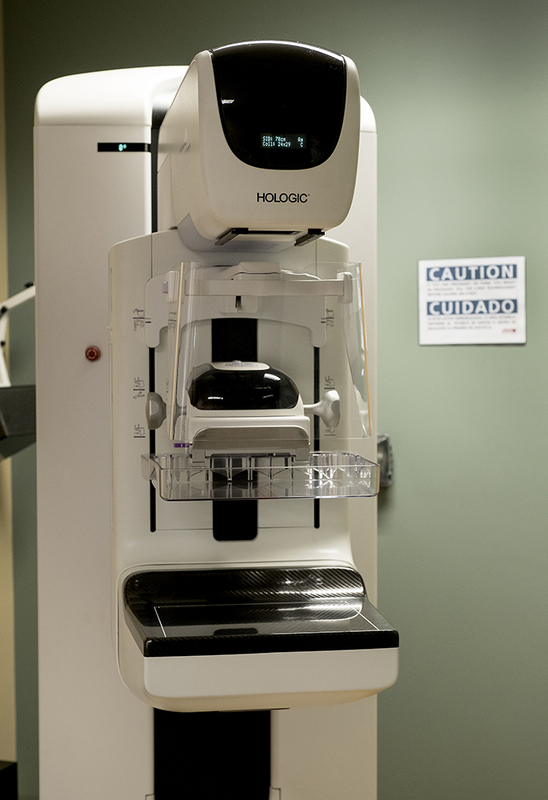 At an Austin radiology center on a recent afternoon, a technologist pointed to an X-ray image to explain what doctors can see on a 3-D mammogram more clearly than on a 2-D one: blood vessels, mammary glands — and early signs of cancer. Starting Jan. 1, Texas will become the eighth state to require commercial insurers to cover the cost of 3-D mammograms. The state already requires coverage of 2-D mammograms, and getting the advanced screening typically costs patients an extra $100. Also known as digital tomosynthesis, 3-D mammograms use the same X-ray machine as a 2-D mammogram but instead of capturing only one side and one front image of the breast, the higher-tech screening captures several images of the breast in slices. The mandate, approved by the Legislature earlier this year, stemmed from a proposal by state Rep. Senfronia Thompson, D-Houston — a breast cancer survivor. "It's important to thousands and thousands of women," she said. "Because if you went to get a 3-D mammogram, you know you are safe, you don't have to worry about something growing inside of you. Or, you've been able to detect it early on." In an examination room at an Austin Radiological Association Diagnostic Imaging center, radiology technologist Shadak Kiankarimi demonstrated the way an arm on the mammography machine arcs over the breast, capturing images from every angle. The machine analyzes each picture and cuts it into one-millimeter slices, resulting in 16 or more images. "Over the past two to three years, it has become more and more the gold standard of mammography," said Julia Austin, spokesperson for ARA Diagnostic Imaging. "There's so much greater ability to examine all the different features of the breast." 3-D mammography technology could enable earlier detection of a cancerous tumor that may not appear on a standard 2-D mammogram, said Dr. Therese Bevers, medical director of the Cancer Prevention Center at the University of Texas MD Anderson Cancer Center. When a doctor finds a potential tumor on a 2-D mammogram, patients sometimes have to return for a follow-up screening and biopsy. With a 3-D mammogram, radiologists can be more certain about the diagnosis and patients can often avoid a biopsy altogether. “When you do a 3-D mammogram, it takes an image, and then — just imagine peeling the onion. Peels it back, peels it back and peels it back and it gives the radiologist the opportunity to take a look at the breast in slices with the breast details,” Thompson said. "When you get a biopsy, they just cut through your flesh with a sharp scalpel, and it's painful." Earlier this year, the Texas Association of Business wrote a letter to Gov. Greg Abbott in opposition to the mandate. The letter, signed by the association's CEO, Jeff Moseley, said the mandates increase the costs of health benefit plans for employers, especially hurting smaller businesses. Arkansas, Connecticut, Illinois, Kentucky, Maryland, New Jersey and Pennsylvania have laws similar to Texas' new one. 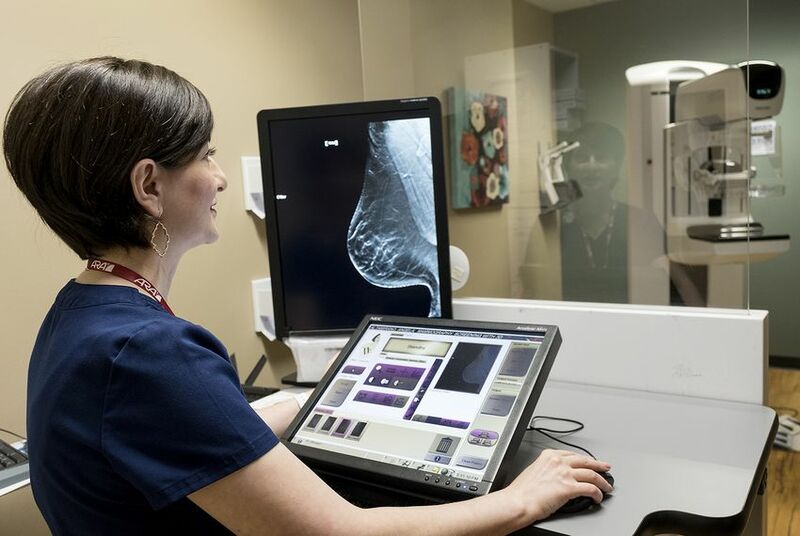 Ray Anne Evans, executive director of the Breast Cancer Resource Center in Austin, said access to 3-D mammograms is especially important for women with dense breast tissue. A small tumor is more difficult to detect in such tissue using a standard 2-D mammogram. A Texas law passed in 2011 requires mammogram providers to notify women with dense breast tissue that their results may be less accurate and that they would benefit from additional screening. The new law ensures these patients have access to the more advanced screening at no additional cost. “All women have different breasts,” Evans said. Often, younger women, those who take hormones or those who have never had children can have denser breasts. More than 17,000 Texas women and about 140 men are expected to be diagnosed with breast cancer this year, according to the Texas Health and Human Services Commission. Suzanne Stone, executive director of the Austin affiliate of the Susan G. Komen Foundation, said not every woman will need a 3-D mammogram. Commercial insurers in Texas could see net costs savings of $22.17 per woman — or $20.6 million a year — by providing 3-D screenings, according to an analysis by Truven Health Analytics. That's because 3-D mammograms would eliminate many false positives and therefore some follow-up visits. Some private insurance companies, such as Blue Cross Blue Shield, were already covering 3-D mammograms. The Texas Association of Health Plans favored Thompson's proposal. "It is critical to balance the need for prevention and wellness with the need for affordability in care, and TAHP supported this bill to ensure enhanced breast cancer screening coverage," Jamie Dudensing, CEO of the Texas Association of Health Plans, said in an email. But the law doesn’t help all Texas patients. The American Cancer Society recommends women ages 40 to 54 get annual mammograms, and women 55 and older get screenings every two years. Of the 4 million women age 40 to 65 in Texas, 2.6 million have commercial insurance. For uninsured patients, the out-of-pocket costs of a 2-D mammogram can be about $250, and, for a 3-D mammogram, about $350. Nonprofits such as the Komen-funded Breast Cancer Resource Center in Austin, provide free screening for uninsured patients. Still, some Texans, such as those in rural areas, don't have easy access to such a center. While Medicare covers 2-D and 3-D mammograms, Medicaid only covers 2-D mammograms in Texas. Thompson said catching cancer early will save costs on health care in Texas and give patients a greater chance at survival. Disclosure: MD Anderson Cancer Center, the Texas Association of Business, Blue Cross Blue Shield of Texas and the Texas Association of Health Plans have been financial supporters of The Texas Tribune. A complete list of Tribune donors and sponsors is available here.